(Natural News) When it comes to prepping, there’s no such thing as being overprepared. If you have a bug-out bag (BOB), that doesn’t mean you won’t need an Every Day Carry kit (EDC kit). A cell phone – As long as it’s charged, a smartphone will give you access to useful apps, and you can use your phone to check your coordinates or to verify if certain plants are safe to consume or not. There’s no guarantee that your cell phone will work when you need it most, but it’s definitely reassuring to have that option should you ever need to call 911. A flashlight – The versatile flashlight deserves a place in your EDC kit since you’ll never know when you’re going to need a portable light source. Always check if your flashlight’s batteries are fresh because it’ll be useless without a power source. A lighter – A lighter can be used to start a campfire, and it can store fuel efficiently. You don’t need a Zippo lighter; a cheaper Bic lighter will do just fine. A list of important information – It’s important to have a backup copy of phone numbers or addresses, especially if your cell phone’s battery runs out. Prepare a list of the phone numbers of people you’ll need to contact in case of an emergency. Additionally, you can include other information that you might need from your phone or the internet. When staying in another country, include your hotel phone number and address in the list. A notepad – A regular notepad will do, but you can also upgrade to a specialty notebook like the Rite-in-the-Rain waterproof tactical notebook so your notes can stay dry even wet conditions. A pen – You’ll need a pen for your notepad. For normal situations, pens can be used to keep notes but when SHTF, you’ll need a pen if you want to let potential rescuers know where you are, or if you need to know where the nearest water source is. If you have the budget for it, buy a “space pen” because they will write in almost any condition. A sturdy knife – You can’t go wrong with a good knife. With a knife, you can cut materials and protect yourself from possible attackers. However, you need to check if you live in an area that might have carry laws or knife state laws. A large bandanna – Bandannas have multiple uses. If you have a bandanna, you have access to a makeshift dust mask, a sweat rag, or even an emergency water filter. 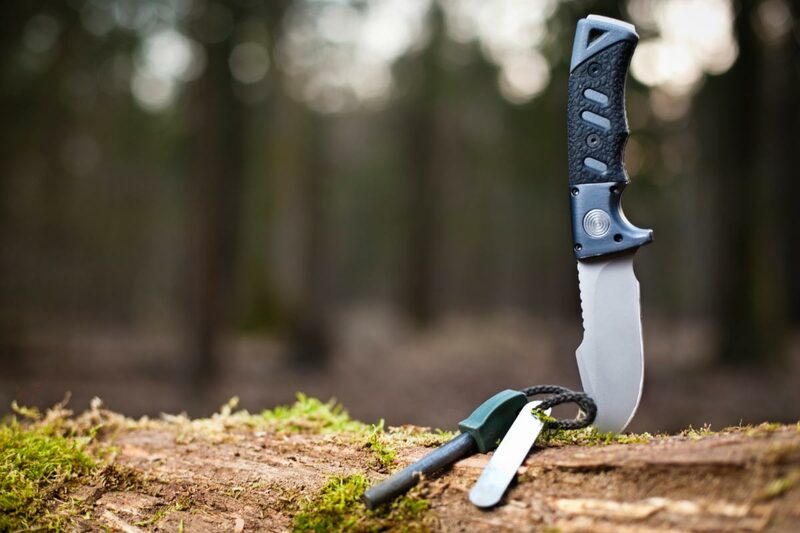 A multitool – While a knife can be handy for some situations, a multitool will give you access to other attachments like pliers and other useful functions. A real weapon – If you’re planning on getting a gun, make sure you’re also trained to handle the weapon properly so you can use it to protect yourself. Some duct tape – Even a small piece of duct tape can be useful. Wrap several feet of duct tape around a small core then keep it in your EDC kit. Always check your EDC kit and keep it hidden in a bag you use regularly. With a properly equipped EDC kit, you’ll have most of what you need to survive a disaster situation. To learn more about the items that a prepper may need in an EDC kit or BOB when SHTF, visit Gear.news.